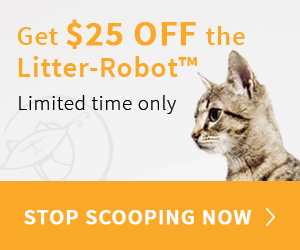 Can Your Cats Share Their Litter Box? Multiple Solutions! Home » Can Cats Share A Litter Box? Multi Cat Solutions: The Debate For and Against! Can Cats Share A Litter Box? Multi Cat Solutions: The Debate For and Against! Simply put, it’s not a very good idea. It’s a lot more comfortable for your cats to have their own litter boxes plus auxiliary extras, and it could save you some hassle in the long run. 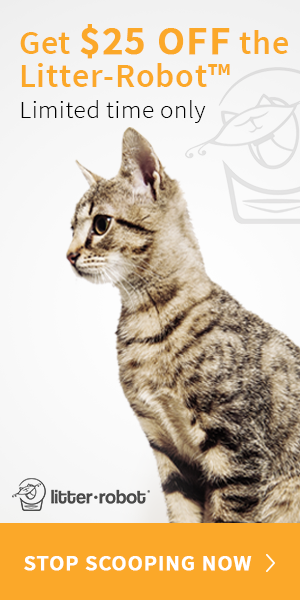 Cats are typically too territorial to share, so it’s better for them that they don’t share one litter box. Read this post for more information about self-cleaning litter boxes and which ones you should pick! Where Should I Put Each Box? Can I Put Two Litter Boxes Next To Each Other? Getting My Cats to Share? Can Two Cats Get Along? Cats like a bit of privacy. Even amongst siblings from the same litter, cats will need a good deal of alone time to do their own thing. This being the case, answering natures call can be unsettling if you have to share a litter box. Also, as all cat owners know: cats are very possessive. They are quite obsessive creatures of habit. As such, they will often trademark their favorite travel paths throughout the house. Any interruption could provoke hostility. If a less dominant cat is insolent enough to trespass on what the alpha considers to be their litter box, the alpha will in some cases bully the other cat away. Sharing a litter box is stressful enough, but not having a safe pee place at all will be very bad for both you and your pet. The best way then is to have multiple litter boxes for your multiple feline housemates. The golden rule says that you should have at least one more than the amount of cats you have. A good rule of thumb is to have at least 1 and a half litter boxes for every cat i.e. 1 cat – 2 litter boxes, 2 cats – 3 litter boxes, 3 cats – 5 litter boxes, and so forth. Such a consideration will allow each cat to claim their own toilet, while having at least one extra just in case. In order to deter other cats from their favorite toilet spot, the greedier of the bunch might start to spray the entry or surrounding areas of the litter box. This behavior is more applicable to cats with covered litter boxes, but not necessarily constricted to them. Otherwise, they might begin to leave their droppings uncovered. Some cats don’t get into this habit, but for those who do and then stop all of a sudden, they are likely trying to make a point to their housemates to not use their litter box. The more grievous cats may not deign to fend off their similarly put-out feline brethren, and go straight for dirty protests around your living space. In order to avoid such inconveniences, just get the extra litter box. Make sure that the boxes are well separated to exclude territorial misgivings. If you have two cats, for example, put one each in suitable rooms which are furthest away from each other and find a good place somewhere roughly halfway between them. It’s pretty straightforward to find a good place for them; so long as the area is generally clean, accessible and away from food bowls and water dishes. Ideally it would also be a quiet, secluded spot where your cat can go to the toilet in peace. It should be obvious by now that you should have at least one extra litter box over the amount of cats in your house. Sometimes, a cat can still have reservations about sharing his house with an impostor. What then? Firstly, any behavioral problems can be linked to health issues, so a trip to the vet would be a good idea. Once you have the all clear, you can go about working out the issue between yourselves. It might just be that your cat doesn’t like the positioning of her litter box. Try shifting them about to see if she’ll take to other places. It is important to find discreet, peaceful places to put it in. If this fails it is time to re-toilet-train your pet. You will have to separate your troublemaker from the others by way of a safe room, where you will place their food, water, litter box, bed and a scratching post. Beforehand, the room will need to be cleansed of any previous protests with an enzymatic pet mess cleaner. Once it is all set up, lock her up for a few days or so, making sure to visit her regularly so that she doesn’t get lonely. It might be hard to lock your cat away, but stay strong until you can be sure of routine use of the litter box. Then, you can reacquaint the mischief-maker to her adversary and see if the issue is resolved for good. Even if it seems to be going fine sharing, it is always more beneficial to stick to the golden rule for litter boxes – always have at least one per cat and extras on top of that.